Our inclusive vision for the school is one which enables all of our community to achieve, enjoy and know success. The school promotes six key values of respect, trust, tolerance, ambition, determination and excellence. 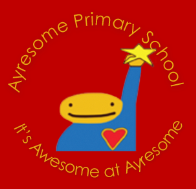 These values enable our mission statement ‘Its awesome at Ayresome’.